is this every boy’s dream come true? 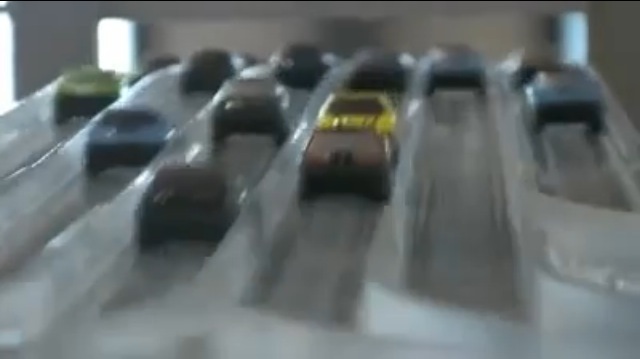 Cars zipping around on tracks have a way of mesmerising boys of all ages. 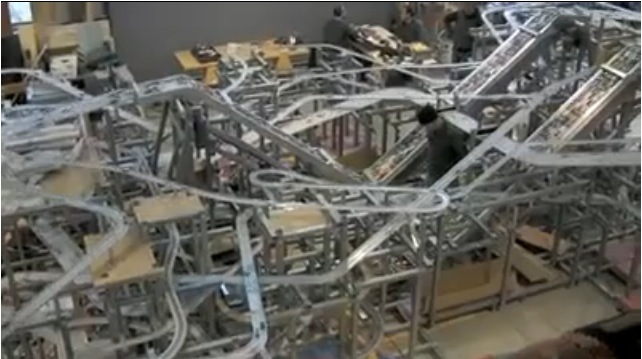 Soon to make its way to the Los Angeles County Museum of Art is Chris Burden’s Metropolis II installation. Hailed as a portrait of Los Angeles, this remarkable construction includes 1,200 custom-designed cars that move across 18 lanes; through scattered towers and buildings made of wood block, tiles and Lego. An estimated 100,000 circuits are completed every hour by the cars as they relentlessly trace their routes around the track. 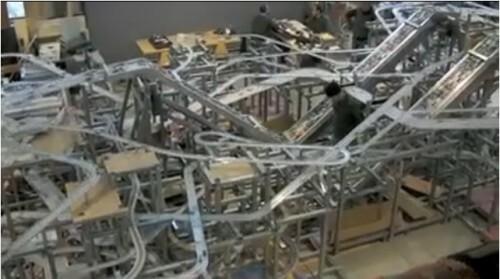 There is an uncanny resemblance to a real freeway (traffic jams included) that is, according to Chris, “quite intense”. The true measure of success for a kinetic sculpture is whether it generates an emotional response. This can come from something as simple as a paper horse, or – as we have seen today – the sheer sensory overload of modern commuter mayhem.